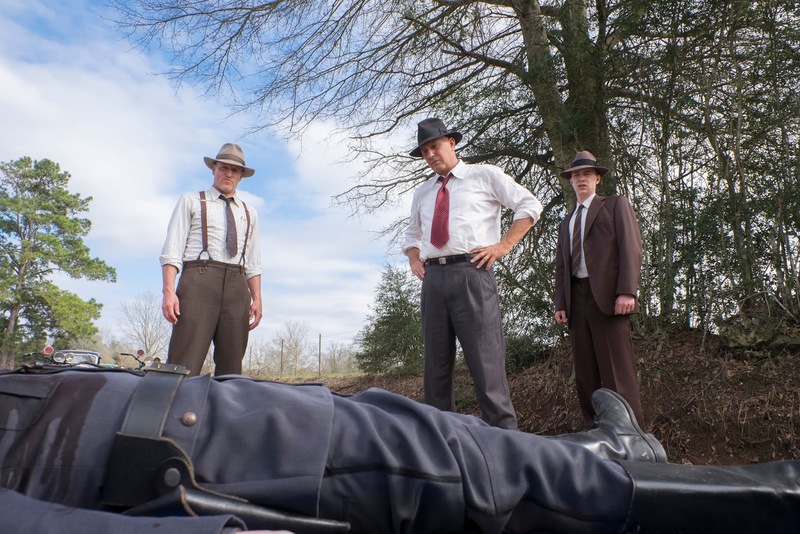 Highwaymen Frank Hamer and Maney Gault are asked to come out of retirement to hunt down notorious mass murderers Clyde Barrow and Bonnie Parker. Bonnie and Clyde were turned into modern folklore even before their deaths in 1934. They have been sensationalized by the media and glorified in films that have often depicted the two criminals and mass murders as likable antiheroes to be admired. "The Highwaymen" is a film that tries to knock Bonnie Parker and Clyde Barrow off their mythical pedestals by focusing on the points of view of the two highwaymen, Frank Hamer (Kevin Costner) and Maney Gault (Woody Harrelson), who tracked them down and killed them. This Netflix original is directed by John Lee Hancock, who has helmed numerous biopics, including "The Blind Side," "Saving Mr. Banks," and "The Founder." It is written by John Fusco, and it's a little ironic that he wrote a movie that wants to show Barrow and Parker as the monsters they really were considering he wrote scripts in the past that sensationalized outlaw mass murderer Billy the Kid in "Young Guns" and "Young Guns II." Then again, he also recently wrote "The Shack," so maybe he's trying to atone for his sins of yore?? People grow, we suppose. As we mentioned, "The Highwaymen" looks to stop the glorification of these two notorious criminals who burgled and killed many people. It explores the opposite side of the coin and gives the law enforcement officers who killed Parker and Barrow a little notoriety for stopping such a heinous crime spree. This story takes aim at the media, who exalted the two killers and painted them out to be some sort of modern day Robin Hood and Maid Marian, effectively turning them into renowned celebrities. We enjoyed this film quite a bit. 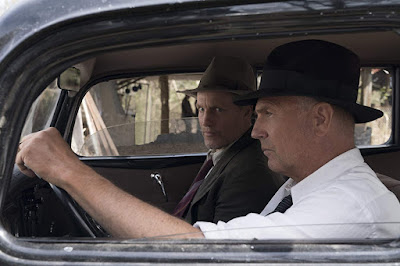 Both Kevin Costner and Woody Harrelson give great performances as aged, hardened lawmen. Hamer and Gault are not shown to be larger than life, they are not men without regret, they are just two people who are willing to do whatever it takes to get the job done. Harrelson and Costner have great chemistry with one another and feel like two old friends who have been through hell and back together. As for the movie itself, it can be a bit methodically paced at times. It isn't loaded with big moments of tension or excitement. We know where the story will eventually end, but we still managed to be captivated by the ride these two highwaymen take as they hunt down Parker and Barrow, following what few clues they can and using their experience and intuition to finally get the killer couple. The biggest complaint we have about this film is its editing. There seems to be a lot of it, and it's almost always unnecessary. Is this the kind of movie that really needs eight different jump-cuts to show Kevin Costner opening a door and getting into his car? Good editing is hardly noticeable, but the editing here was pretty distracting at times. This is not a biopic that tries to reinvent the wheel. 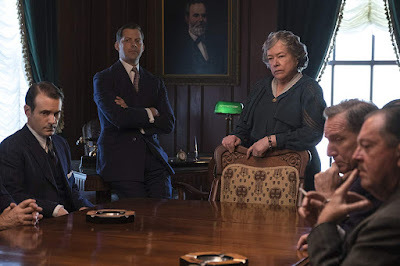 It doesn't stray from the typical Hollywood formula, and some elements may be fudged to add more dramatic flair to make Hamer and Gault seem like underdogs fighting against criminals and government bureaucracy. Considering that director John Lee Hancock is the king of formulaic Hollywood biopics, we expected this. 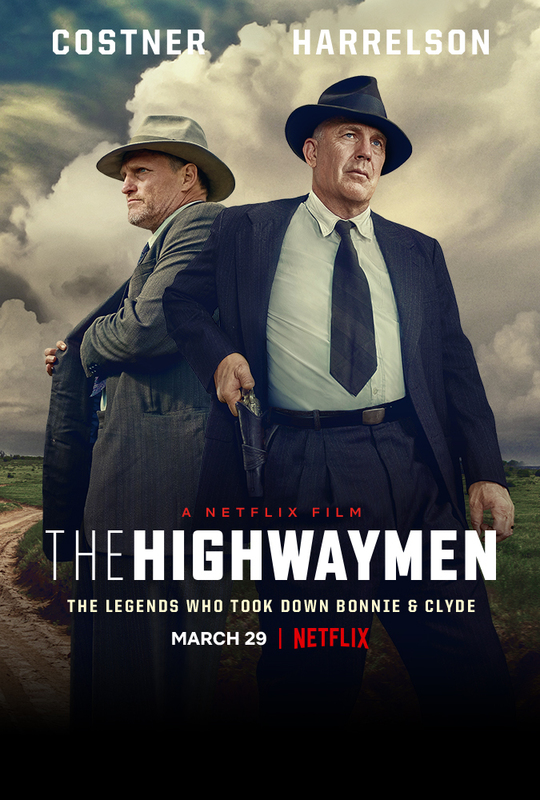 Whatever choices were made behind the scenes ultimately worked for us because we found "The Highwaymen" to be an enjoyable crime drama that is worth watching if you have Netflix. It can be a bit long, and it might be a bit old-fashioned, but we dug it for the most part.